Earn Multiple $0.25-$0.50 Payments From 1Q (Market Research) - Freebies, Deals, & Cash! Interested in taking surveys for cash, but don’t have the time to spend 30+ minutes on a survey for low payout, only to find out you don’t qualify for said survey? 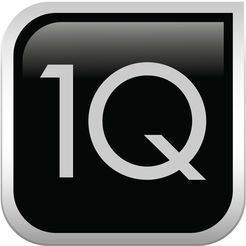 1Q is a market research company that uses Text Messaging while seeking the answers they are looking for. You will receive one (multiple choice) Question at a time via Text Message, and once you reply with your answer, you will be paid $0.25-$0.50 INSTANTLY to Paypal. No Waiting. You will receive the Texts at random. And again, only one question at a time. Be sure to answer your question in a timely manner. (You only have so long to reply). Questions are multiple choice, so your reply will be “A, B, C or D”. Interested in MORE Ways to Earn a little extra Cash?? Check out the “Earn Cash” portion of our website to learn about more legit apps/sites! Earn Money while walking with this app! Yes, its as simple as it sounds.